The TMR is suited for lowering the water level to a remaining water level of 2 mm. The service life of submersible pumps water, which are used in water pump sumps and through which washing machine water, soapy water from basins and showers, or other mixtures water flow, is considerably reduced by settling sediment. Such sediment can form deposits in the water pump sump, resulting in the accumulation of mud and odours. Wilo-Drain water TMW 32 has a turbulator that prevents the build-up of sediment, expelling it together with the fluid in water. This reduces costs and the time needed for regular cleaning water of the sump. In addition, problems associated with mud removal and the observance of occupational safety hygiene regulations during cleaning water of the pump sump are minimized. Fluid temperature 3 ‐ 35 °C, max. 90 °C for short periods up to 3 min. Submersible pump water suitable for stationary, fully automatic operation. A pressure hose of appropriate length is connected for mobile use, while a pipe is connected to the pressure port for stationary applications. A residual current device for a trigger current of 30 mA that is to be provided onsite (regulation concerning outdoor installation) must be utilised in accordance with EN 60335-2,41. The pumps of the TM series are suitable for drainage applications with a multi-channel impeller and a free ball passage of 10 mm according to EN 12050-2 (except TMR). The water pump is continuously cooled by the fluid between the outside shroud of the water pump and the stainless steel motor housing. The serially installed thermal motor protection assures a permanent protection of the pump. The pump is equipped with a 3 or 10 m connecting cable with shockproof plug and a float switch (not TM 32/8-10M). The Wilo-Drain TMR water pumps are built for special applications whereby it is essential to keep the amount of residual water low. The special strainer enables the fluid to be pumped out to a remaining level of 2 mm. Due to its design, the Wilo-Drain TMW ensures constant turbulence in the suction area of the pump. 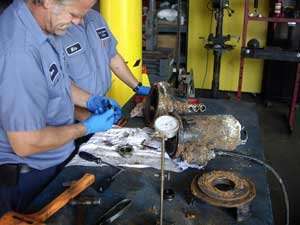 This results in a clean pump sump. 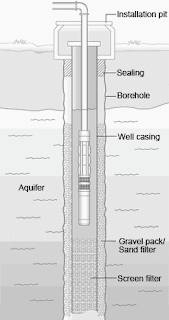 No fluid-related odours are generated, due to the turbulence and the elimination of the settling sediment connected with it. The maintenance intervals are extended. Deactivating the Twister (see installation and operating instructions) increases the pump curve by 1 m.
Jacket-cooled, stainless steel-encapsulated, dry electric motor with built-in thermal overload protection and automatic reactivation. In accordance with DIN EN 60335-2-41, 10 m of electrical connection line should be used for outdoor operation (however note that regulations vary from country to country). Mechanical seal on impeller side, one rotary shaft seal on motor side; there is an oil chamber between the seals. Pump ready for connection with cable, plug and attached float switch (except for TM 32/8), supplied non-return valve (except for TM 32/7), installation and operating instructions. such as industrial washing machine water. Head Pumps: 35 to 65 Ft. The model EBG, EBHG submersible grinder pump series handle residential or light commercial sanitary waste in pressurized sewer systems. The heavy-duty, high chrome iron grinder system has powerful blades that reduce solid sizes to a fine slurry for smooth, non-clogging flow. The pump is small and lightweight affording ease in transport and ideal for use in temporary installations. Head Pump: 8 to 170 Ft. The model DMLEU Pumps non-clog, single channel impeller pumps are suitable for use in commercial and industrial wastewater applications pumps and are an economical alternative to other competitive submersible wastewater pumps. The model DMLEU Pumps is constructed of durable cast iron with a large diameter, short overhang shaft and stainless steel fasteners. The single channel impeller prevents clogging and is capable of handling large spherical solids up to 3”. An oil lubricated double mechanical seal with hard silicon carbide lower faces provides strong and reliable shaft sealing leading to longer operation and service life. Portable, slim-line top discharge submersible dewatering pumps are capable of handling contaminated fluids in the most severe and corrosive applications at construction sites, mines, power stations, steel plants, on ships and in aquaculture. The model DWP/DWPM pumps are available in either standard cast iron or 316 stainless steel. The high head models feature heavy-duty motors with oversized shaft and bearings. Head Pumps: 5 to 340 Ft. The model 2CDXU, 2CDU two-stage, end suction pumps are constructed of bulge formed stainless steel and designed for corrosion resistance, dependable performance and high-efficiency, continuous duty. High-quality stainless steel components are stronger, dimensionally consistent and lighter weight compared to conventional cast iron, making EBARA centrifugal pumps competitively priced and an economical advantageous choice. Models 2CDXU, 2CDU Pumps are suitable for commercial and industrial pressure boosting and general water applications including water supply, water treatment, irrigation and in air conditioning systems. Head Pumps: 98 to 245 Ft.
High quality mechanical shaft seals and o-rings Pumps- available for standard pumping requirements, or optional high temperature and chemical duty operation.